We’d like to take this opportunity to share some of the information we’ve gathered ourselves about Cape Coral and the surrounding area. We’ve intentionally avoided posting any texts from travel guide books here and instead we are relying on our own experiences and photos to give you the best possible insight into how things are in and around Cape Coral. We would appreciate it if you would send us your own impressions and feedback so we can use it to round out this website. This way other visitors can also benefit from your experience and first-hand information. Here’s a tip: If possible, try to plan your activities during the week. The locals naturally use the weekends for all kinds of activities, which means that it’s a lot more crowded out there then than it is during the working week. You’ll notice this especially at the supermarket for instance, although even there it’s not really a problem. But with other activities such as miniature golf and the like you will have to anticipate waiting times. And with special things such as booking a Jet Ski or a dolphin tour you have to consider factors like a longer trip to Fort Myers, parking, advance bookings and so on. So it’s always a good idea for vacationers to do things during weekdays when “poor ole’” Americans still have to work! Normal supermarkets can be found on almost every corner in Cape Coral. Only one intersection away from Villa Unica there is a Publix Supermarket (Midpoint Center, 2420 Santa Barbara Blvd., Cape Coral, FL 33914-4485) with a very wide selection. The freshly prepared sushi from the Publix deli is really pretty good. Sushi is not so easy to find in Cape Coral, and you can get it from Publix to go. But for the first big grocery shopping trip at the start of our vacation we prefer the local Walmart (Walmart Supercenter, 1619 Del Prado Blvd. S, Cape Coral), which generally has somewhat better prices than Publix . Getting to Publix takes about 3 minutes by car, while the Walmart is roughly a 10-minute drive. For size, selection and price the nearby Miromar Outlets mall offers a special shopping experience. With over 140 stores, plenty of parking space, a wide range of restaurants and unbeatable outlet prices you just won’t find in Germany this is a place to spend a day. The latest addition is the “Abercrombie & Fitch” outlet store, a brand rarely in Germany. Miromar Outlets is approximately a 40 minute drive from Villa Unica. On the way to Miromar you will also find another shopping mall, although not an outlet mall, called Coconut Point Mall. 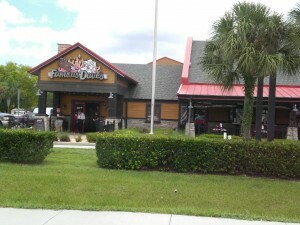 It is located on US41 between Corkscrew Road and Coconut Road in Estero, FL. Young, slender visitors are big fans of the Hollister store at the mall. And less enthusiastic shoppers can pass the time at Coconut Point’s movie theater multiplex while their loved ones are shopping. Sunsplash Waterpark (400 Santa Barbara, 33991 Cape Coral) is a family fun park very popular with the kids featuring a wide range of water slides. The park is located only 5 minutes away from Villa Unica. If you want to claim one of the few sun loungers in the shade you’ll want to get there as early as possible, and remember that bringing food and glass bottles is against park policy. Sunsplash has a snack bar and you can rent lockers for your belongings. 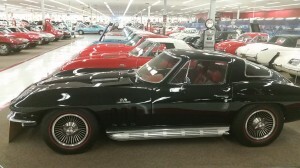 Car enthusiasts should definitely pay a visit to Rick Treworgy. 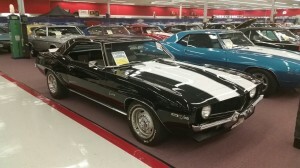 Rick is a private collector of GM muscle cars (so don’t expect any Ford Mustangs here…) boasting over 200 cars in his collection. All of the cars are in top shape, and seeing this many of them all at once is pretty impressive! 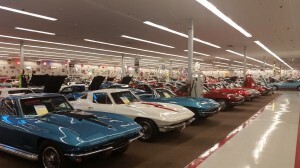 The drive to Punta Gorda takes around 45 minutes and the cars are on display in a former Walmart building that Rick has converted into a museum. There’s also a small diner with delicious burgers on hand and a shop area with trinkets and car replacement parts to round out your trip. 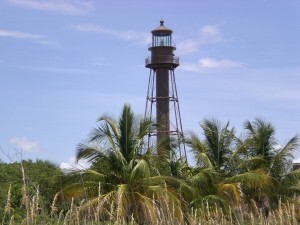 This is an ideal place for nature lovers and birdwatchers. For an admission price of $6 per vehicle visitors can drive through this small park by car. 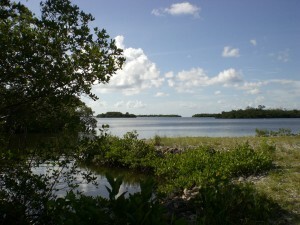 The refuge also has short hiking trails and a number of viewing platforms. We visited this very small park last August, but aside from a few crabs and lots of jumping fish we didn’t see any other wildlife. 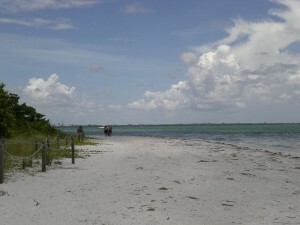 In contrast to Fort Myers Beach, these are quieter beaches that are ideal for mussel hunting. However, they don’t offer much in the way of infrastructure (most beaches have restrooms and showers and some have beverage vending machines and picnic areas). 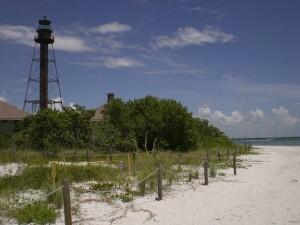 This attractive beach on the southern tip of Sanibel Island is home to a historic lighthouse. 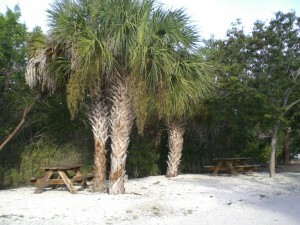 The beach features ample parking space (parking fees apply), showers, restrooms and picnic areas with BBQ grills. We personally find this beach even more beautiful than Lighthouse Beach. Here you’ll also find parking space (parking fees apply), showers, restrooms and BBQ grill facilities. 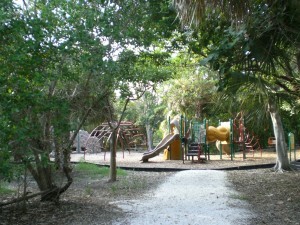 There is also a children’s playground (not directly on the beach), a soft drinks machine and a fitness trail. The beach is accessible via a small footpath. We were even lucky enough to spot a manatee on our walk to the beach. 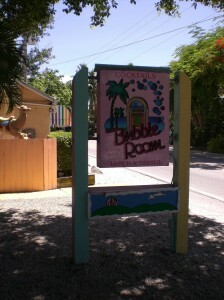 Captiva Island is home to a number of cozy, rustic restaurants and bars with good food and beer. One such place is the Bubble Tea Room, a restaurant with a highly original, amusing design. The restaurant is closed between 3 and 4 p.m. each day. 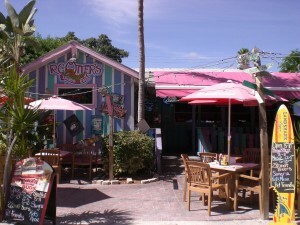 Another locale worthy of mention is RC Otter’s Island Eats. 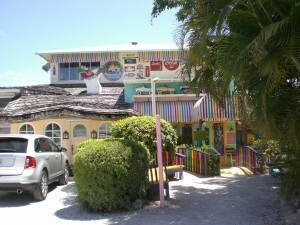 You can find all of the island’s restaurants here. Fort Myers Beach is our favorite beach. There are plenty of nice little shops to browse through, and the beach itself is very spacious and generally not overcrowded (except on the weekends, which we avoid). 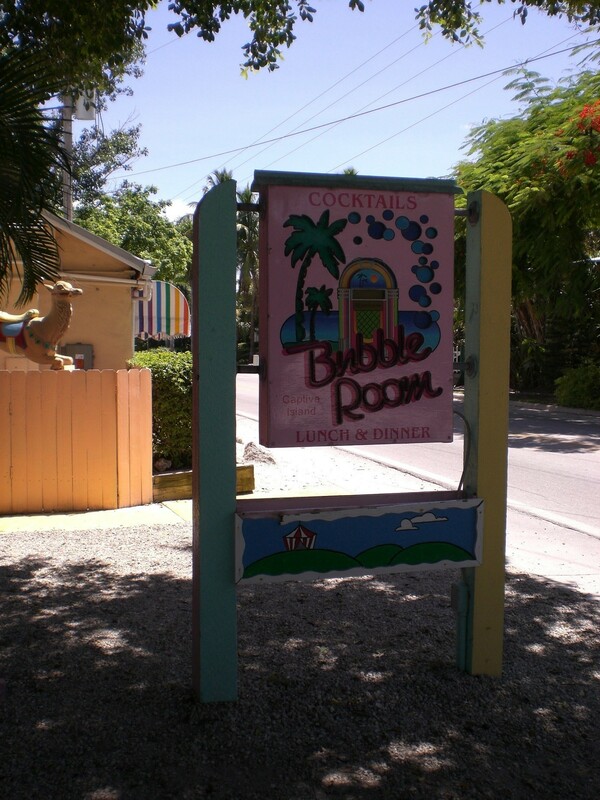 There are lots of amenities for eating, drinking, shopping and for activities like banana boat rides, Jet Ski rental, parasailing, dolphin tours and more. Our own kids tested the banana boat and gave it rave reviews. The price in August of 2014 was $20 per person and was definitely worth it. 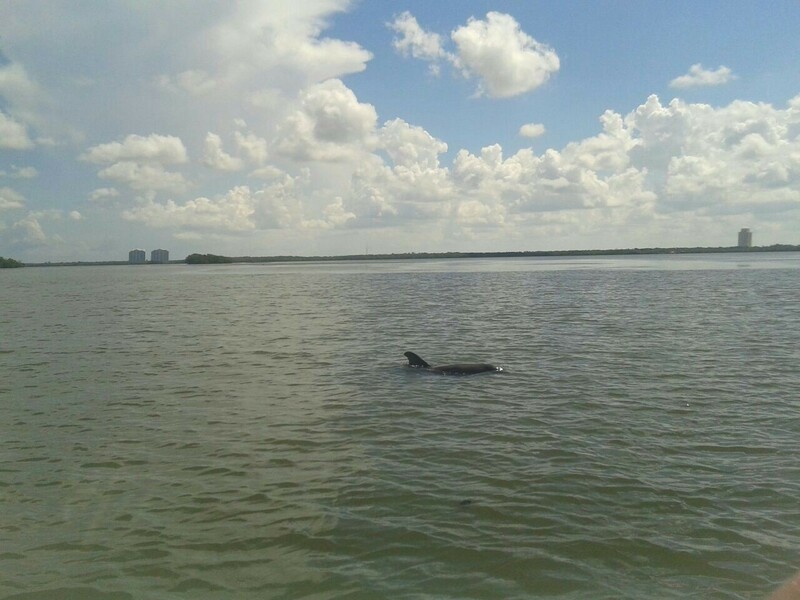 We absolutely recommend the Jet Ski dolphin tour. The guided Jet Ski tour lasts 1 ½ – 2 hours and takes you around the southern tip of Fort Myers Beach. We were actually able to observe dolphins here not 2 yards away from us. But even the Jet Ski ride itself is a highlight on its own. You have to make advance reservations for the dolphin tour because there is a limited number of Jet Skis available. Tours are held in the mornings. In August of 2014 the price was $100 per Jet Ski (for up to 3 persons), but there are several tour providers on the beach and the prices between them vary significantly. It makes sense to shop comparatively since some of the Jet Ski providers charge per person while others charge per Jet Ski. A Jet Ski can carry up to 3 persons, so the price difference is pretty big. We like Congo and Smugglers the best. Of the two, Congo Golf is the more demanding and more interesting course. We don’t really recommend Safari Golf because of its run-down condition. When you’re ready to head out in the evening you’ll find two great, rustic bars (Backstreets Sports Bar / Twisted Conch Seagrill) with fresh beer on tap and good food right next to each other in south Cape Coral. They’re both located at SE 47th Terrace. Aside from these two there is also a broad spectrum of steakhouses, Italian restaurants, Chinese restaurants and more, all only a short drive away. To list them all here would probably take up more space than we have, but special mention has to go to a classic American restaurant called “Famous Dave” (12148 South Cleveland Avenue, Ft. Myers, FL 33907) located a half-hour drive away in Fort Myers right on U.S. Highway 41. You pass by it frequently on the way back from shopping, miniature golf or the beach, and in the meantime we and all of our previous guests swear by the spare ribs at Dave’s! We don’t golf ourselves, so we’ve simply listed the closest golf courses located near our house. Again, we don’t have any personal experience with these courses, so they are listed here without any kind of Rating.